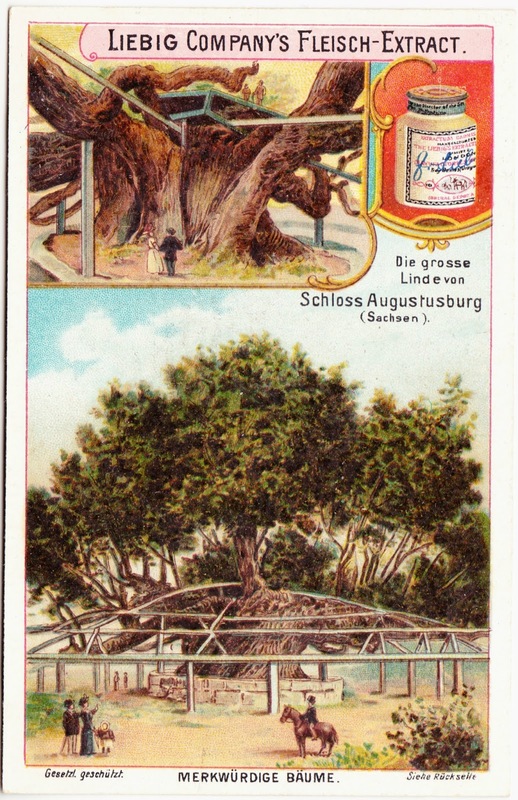 Following up on Sunday's post, here are two more images featuring Strange Trees from Liebig's German-language vintage advertising trade cards. This mighty tree, the Great Lime of Augustusburg, is located at Augustusburg Castle (also known as Augustusburg Hunting Lodge) in Saxony, Germany. This storied tree has its own Wikipedia page. 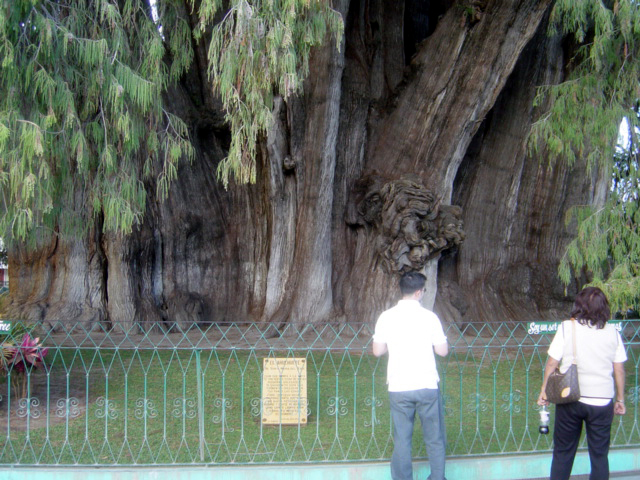 It is El Árbol del Tule, and it is generally thought to be 1,400 to 1,600 years old. It is located in the small town of Santa María del Tule, about six miles east of Oaxaca. 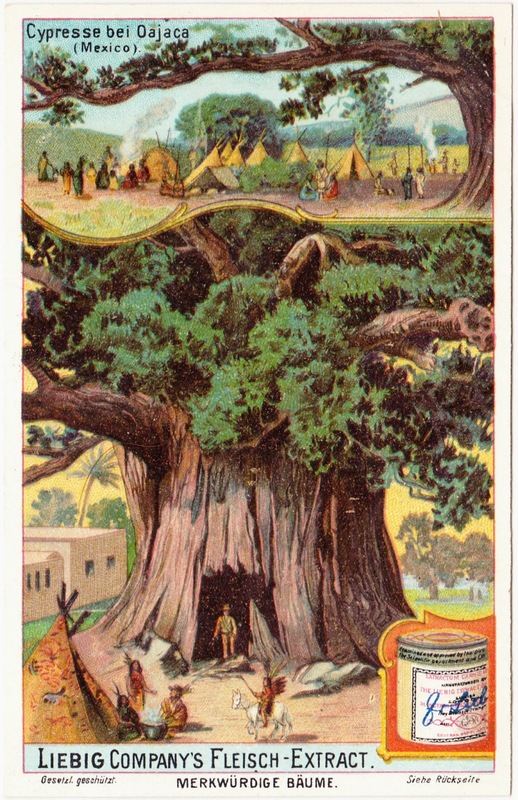 It has a "smoothed-out" diameter of 30.8 feet, making it the stoutest known tree in the world, wider than the mightiest giant sequoia. Sadly, El Árbol del Tule is said to be slowly dying, on account of water shortages, pollution and nearby traffic.